Last weekend I discovered on Germany's national TV ZDF a new documentary: The History of the (House) Cat. Available in German language only, I still find it worth a few notes of facts I got out of this well presented and filmed documentary. She is only a cousin of the big wild ones, such as lion, tiger, cougar, leopard, lynx, etc. The cat as we know it stems from another forefather that lived in Europe, parts of Africa, Asia. It was during the Stone Ages some 7,000 years ago that the cat entered the symbiosis with the human being, when mankind started to settle down and farm, storing the harvested crop. Rodents took advantage of the grain stores, while cats discovered a new feeding ground. And soon they became a beloved (and useful) member of the clan. They quasi domesticated themselves. 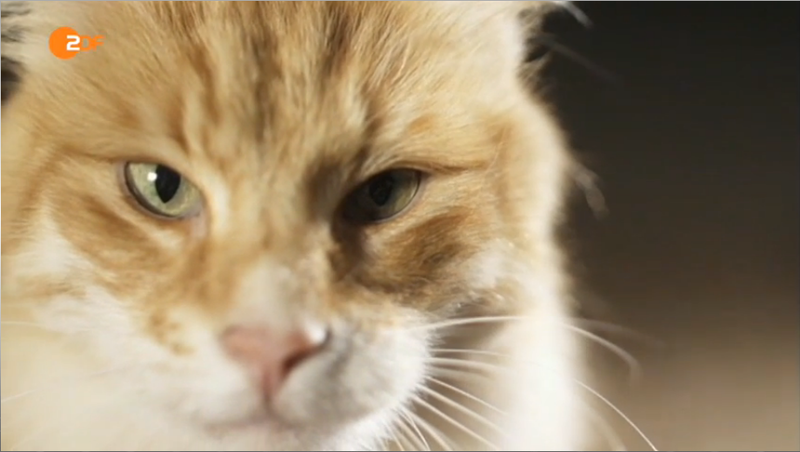 And all that happened in Old Egypt, from where the (house) cat spread into other cultures. Excessively hunted and killed during the (dark) Middle Ages due to religious belief that the cat is the manifestation of the devil, in some areas in Europe she was almost extinct. Rodents prospered again, and with them came the plague. Today there are over 60 different breeds. Cats are designed to jump savely from trees and heights, and always land on their 4 paws. Slow motion shows that they automatically turn their bodies towards the ground, shortly before they "arrive". During a test way back in 1948 in simulated zero gravity on a plane, this mechanism didn't kick in, and the kitties where zig-zagging around just like the astronauts-to-be. The highest ever recorded fall, a cat survived, was in Manhattan, New York, from the 32nd floor. German speaker, check out the documentary, as long as it is online on ZDF Mediathek. 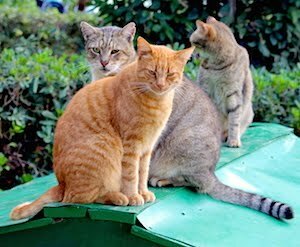 What the documentary did not cover - except for a quick take about the Torre Argentina Cat Colony/Sanctuary in the center of Rome - was the growing number of stray cats in many countries and the imperative need to TNR.